So far on this journey through noir, the meanest crooked cops I’ve come across are featured in Where the Sidewalk Ends and The Prowler. Hell, the latter is going to be nearly impossible to beat. But here’s another bullet-proof example of noir’s police force with polished palms and bulging pockets, as well as the lengths they’ll go to saddle a dame. 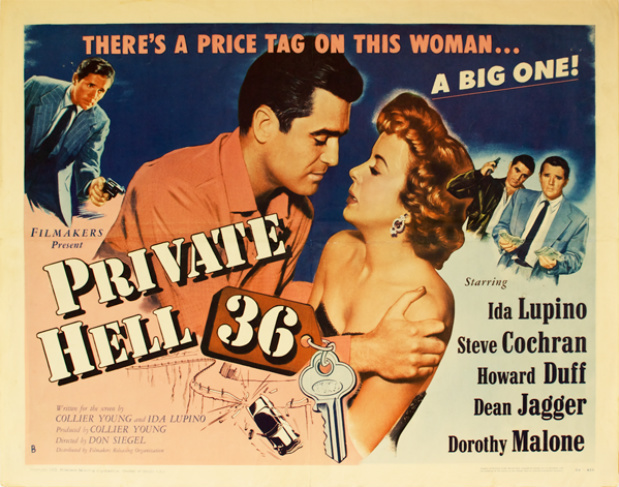 Co-written by the queen bee Ida Lupino, Private Hell 36 is a subtly smart film that mounts and screws the idealism of the mid-1950s. And looks good doing it.